This week, GCHS staff and students will have some fantastically frightful fun as we hold some Halloween events in the school. 1. 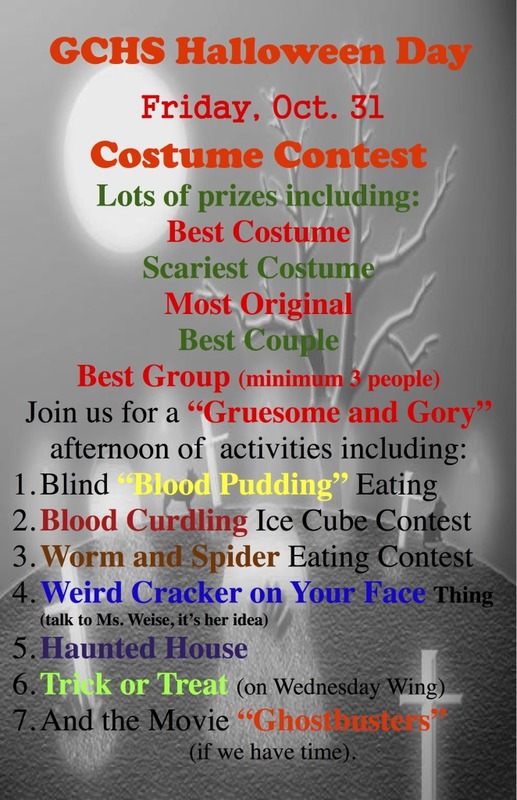 The cafe for Halloween games such as pudding eating, the ice cube hold and more. 2. Rob Haslam’s room for the movie – Ghost Busters. 3. The gym stage for a run through the Haunted House. 4. Eric Gardiner’s room for board games. 5. The library for quiet time.